MEEKS RD - Large Country Home on 5 Acres in Adamsville, TN with 5 Bedrooms, Private Country Setting, Good Whitetail Deer Hunting, Huge Master Suite, Vaulted Ceiling in Living Room, Corian Countertops, Large Rooms, 2nd Bedroom with Half Bath, All Bedrooms with Walk-In Closets, Separate Dining Room, New Tile in Kitchen & Bath Rooms, Hardwood Floors in Living Room, Luxury Master Bath, and Nice Guest Bathroom. This Big Home has Nice Privacy and can be bought with more acreage too! This 5 Bedroom, 2.5 Bath Country Home features a Large 24x17 Living Room Vaulted Ceilings, 16x14 Kitchen with Corian Countertops & New Tile Floors, Separate 14x12 Dining Room, Huge Master Suite with Sitting Area/Office, His & Her Walk-In Closets, Luxury Master Bath with Whirlpool Tub & Separate Tile Walled Shower & New Plank Tile Flooring, 14x12 2nd Bedroom with Walk-in Closet and Private Half Bath, Three more Guest Bedrooms that are 14x13 each with Large Walk-In Closets, Nice Guest Bathroom with Tile Surround in Tub & New Plank Tile Flooring, Sizeable Laundry Room, Back Deck, Front Porch, 2 Central Heating & Air Units, New Architectural Shingle Roof, and Freshly Painted Exterior Hardy Board Siding. This House will make a Great Home for anybody! 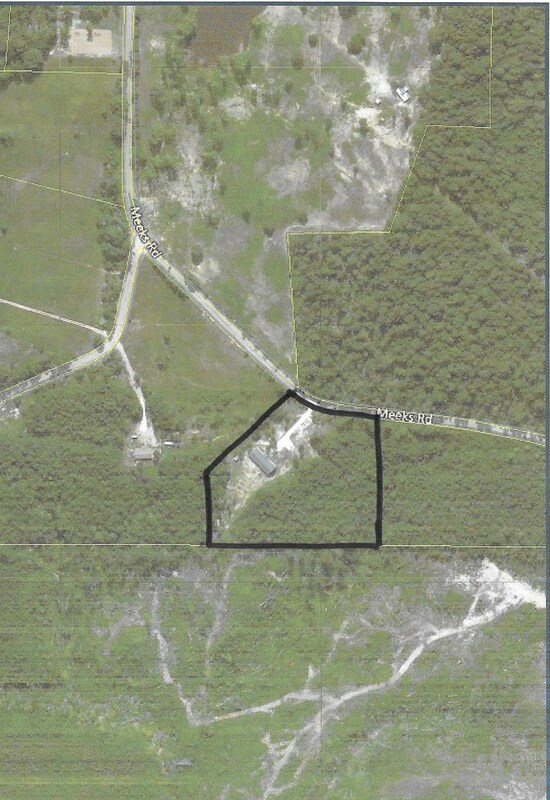 The 5 Acres+/- is mostly Wooded and has a Lot of Road Frontage. The Land is mainly Level and this Home can be bought with more acreage. There is Great Whitetail Deer Hunting. You could also make some nice Riding Trails or Convert the Wooded Land to Pasture and start your own Hobby Farm.